PINE CREEK/TONASKET-Amazing panoramic views! 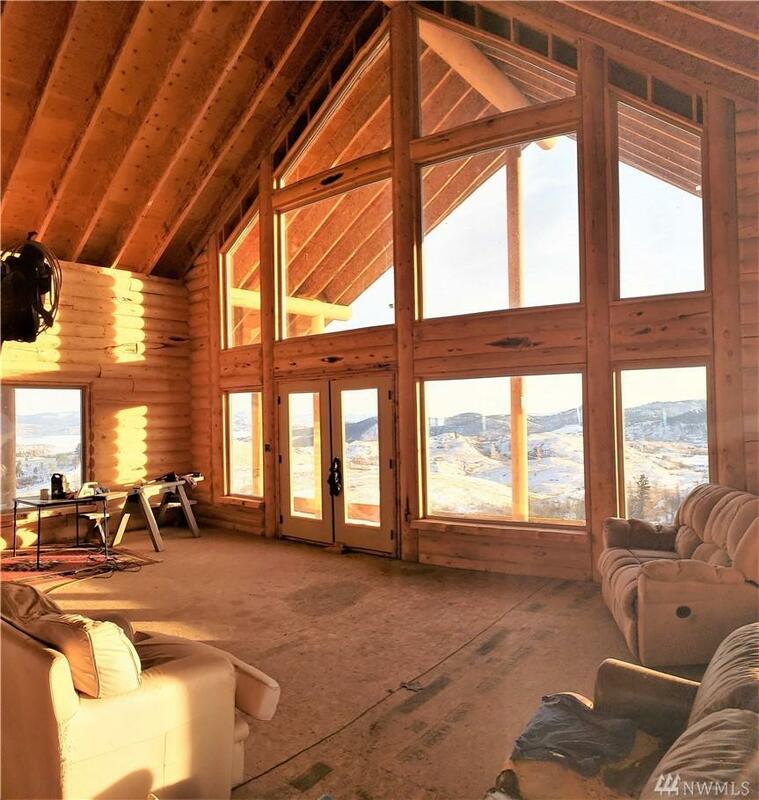 Custom Yellowstone a-frame design log home 4BR-3.5BA in 3,288sf, wrap around deck, approx 60% complete w/800sf att garage. In floor heat in bsmt&garage, wood stove opt, living edge window sills, wide stair wells, loft space, custom & french doors. Massive 40x40 shop has 923sf 1BR/1BA LivingSpace+est 800sf garage/1,520sf carport/shed&green house. RV hookup/dump. 2 private Wells/cistern,7 frost free spigots, fenced/gated property, round pen & more!